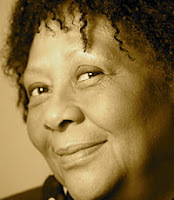 A Year of Being Here: Marilyn Nelson: "Bali Hai Calls Mama"
came the wild cry of geese. "Bali Hai Calls Mama" by Marilyn Nelson, from The Fields of Praise. © Louisiana State University Press, 1997. I love the reality of this poem. Beautiful and touching.